To start things off, I’ll keep the first post as a static “current specs” post. 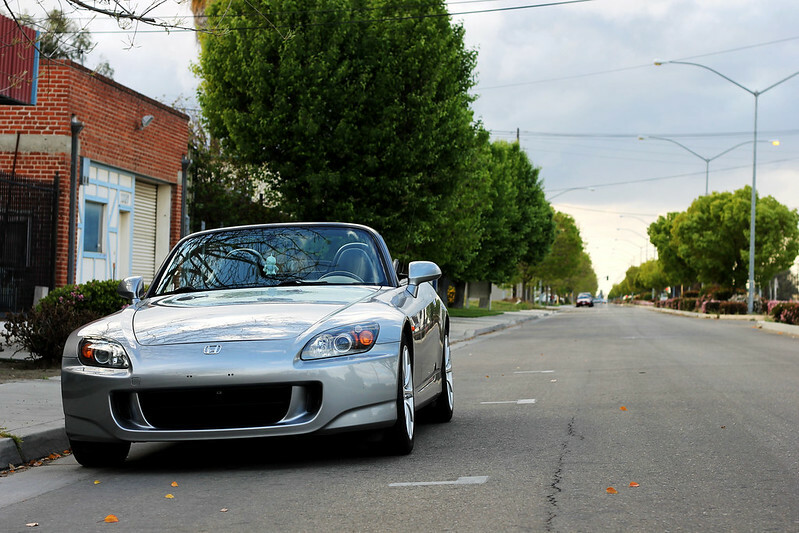 Like a lot of people, I’ve always wanted an s2000 for a long time. My brother’s friend had one and took me for a spin when I was in high school, and I still remember taking that turn onto the onramp at speed and being so thrilled and excited because I had never gone that fast before. Top down at night, it was an awesome experience. I was able to drive his car a few times when I was in college, and decided that it was going to be the car I bought when I graduated. All through college I wanted one, and it sounds cheesy but I really couldn’t think of another car that I wanted. Fast forward to graduation day, and the place I was interning at hired me as a full time real employee. 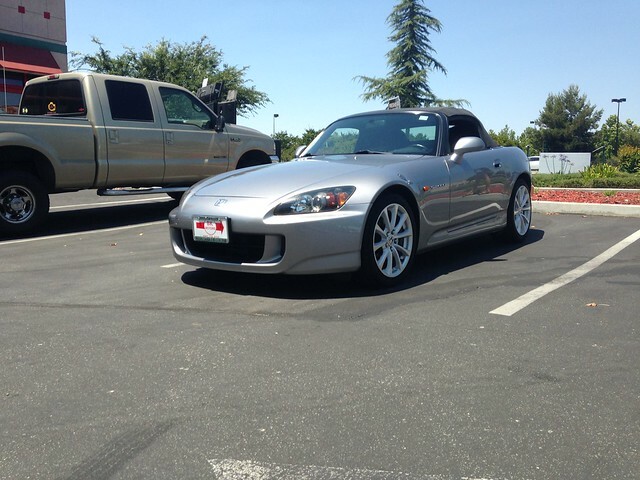 40 days later, I had the keys to my S2000. 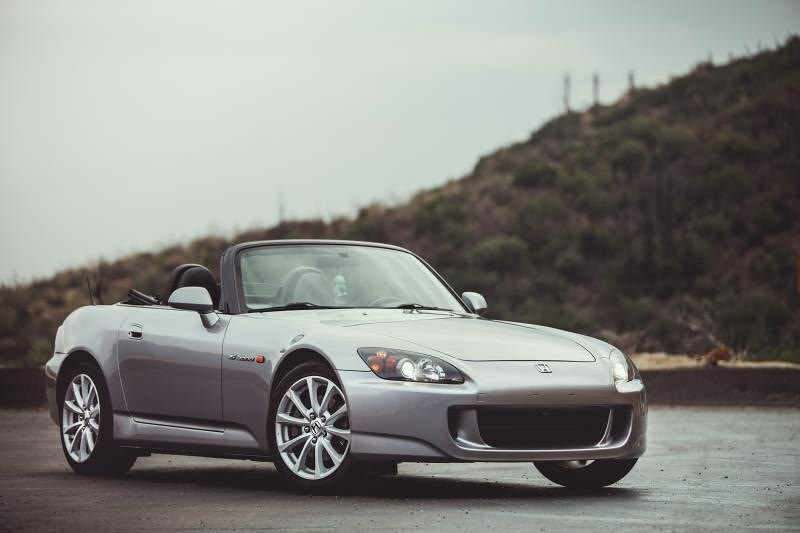 I had been researching mostly Autotrader, S2ki, and other related sites, but just so happened to be perusing Craigslist when I saw a 2007 Silverstone going for what I felt was a really good price. I knew I wanted a newer, unmolested car because it was going to be a car I hope to keep forever, so a newer year is best. Plus, I wanted traction control. Anyway, back to the Craigslist ad. So I call the dealer that the car was at and ask some questions, and find out it was a 55 year old female one owner car. The woman was a nurse who was looking for a bigger car. Mileage was just over 43K. I request more photos and a carfax and jumped on Yelp to see if this guy was legit or not. Turns out, he has really great reviews but he works on consignment- pretty strange, but I figured it was probably kosher. After some back and forth, I knew I wanted the car and it was a good, hard to find deal. I agreed to purchase contingent upon several things such as an independent inspection, and more or less bought it sight unseen. No test drive or anything. In fact the first time I drove it was when I drove away to drive home! The reason why I didn’t test drive was because I lived in Orange County and the car was in Half Moon Bay (Bay Area) and it wasn’t feasible for me to drive all the way up there without being serious about the car. That and since he works on consignment he wouldn’t release the car until having the funds in full and it was just too complicated to set up financing at a bank same day, so in order to do it all in one fell swoop I more or less bought it before I picked it up with the ability to back out once I got there. 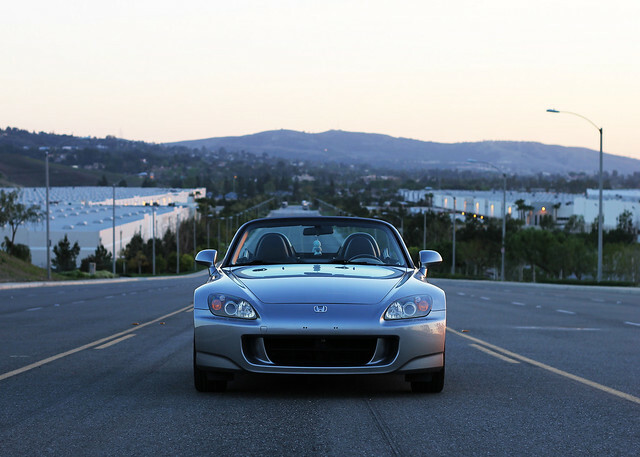 And with that, I was an S2000 owner. You might be able to see the dealer I bought the car from; super nice guy, but I wouldn’t do it again. It took months to get my license plate because the lienholder didn’t release the title. Even then, registration documents sat on his desk for forever and he would promise me “in the mail today!” even though the documents were postmarked days later… Anyway long story short, nice guy but the after-the-fact paperwork was dismal. I decided from the get-go that I was going to stay stock for at least a year and figure out exactly what I wanted to do to the car and have a plan before I install everything. The end goal for the car is to have a compliant, capable car that is at home on the street as much as it is on the track, while not having to “give up” anything. 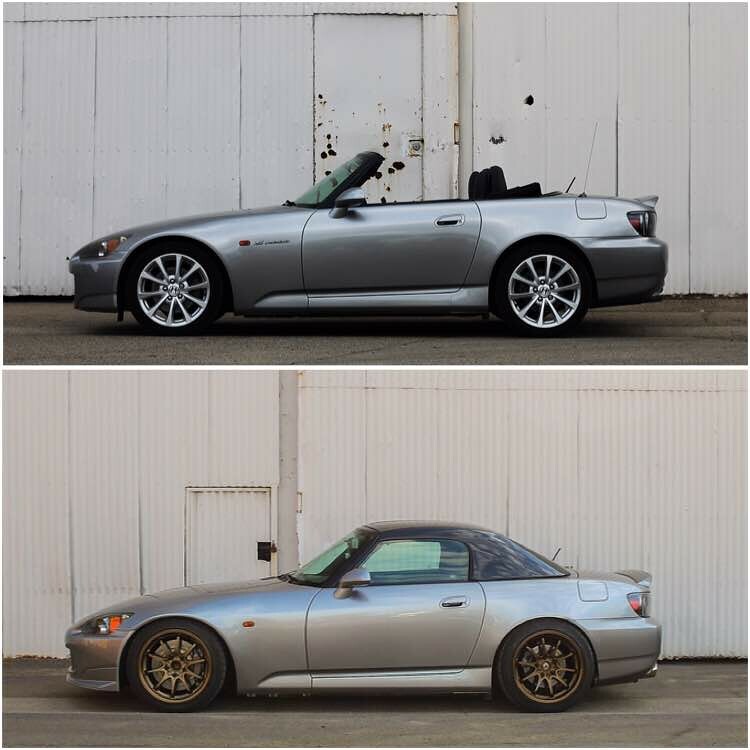 I knew I wanted a square setup and a hardtop, and suspension work, but I wasn’t sure exactly what I wanted. The next few months were research. My first mod came 3 weeks after I bought the car. I take that back, it’s not a mod it’s maintenance. Whatever. 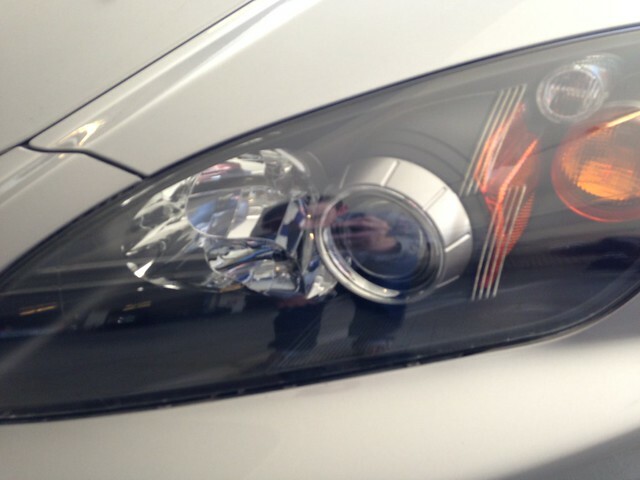 The headlights were starting to get faded, and I felt it was better to fix it early than fix it late, so there is this mobile professional detail guy that came by my work every week who did a headlight restoration. Money out of my pocket later, and this was the result. 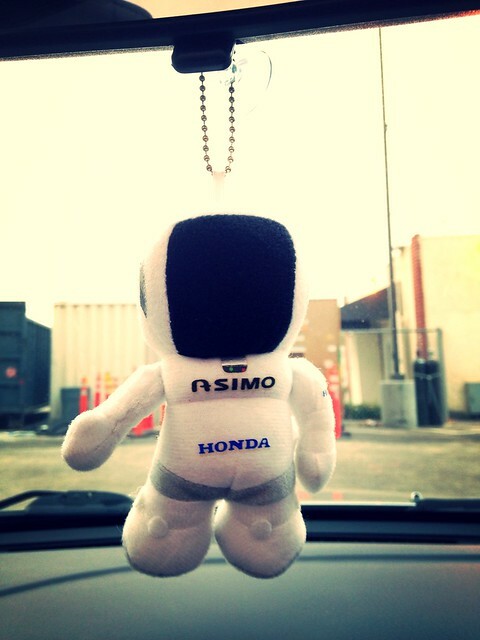 Up until now, I didn’t really have any automotive friends. I went to school for design, so nobody was really into cars. 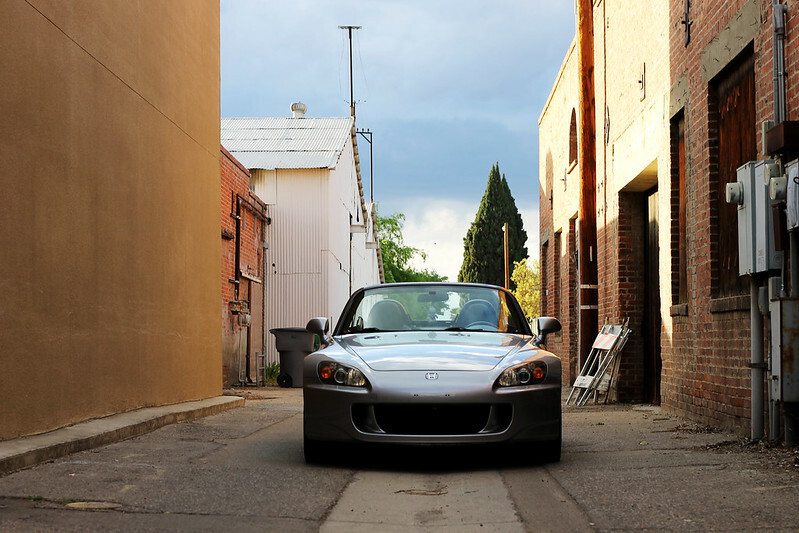 I drove a junky jeep up until my S2000, so I definitely didn’t have any “scene” friends. Through a thread I posted on VwVortex (my first car was a ’98 Jetta and I stayed on the forum even after I sold the car) I met Colin, who goes by Phryxis or KCMachine on S2ki. We met up for lunch one day, and I’ve met a number of other true enthusiasts through Colin. I’m lucky to call him a friend. I also met Chris Lum through Colin, and we’ve done several Cars and Coffee gtg’s with breakfast afterwards together. 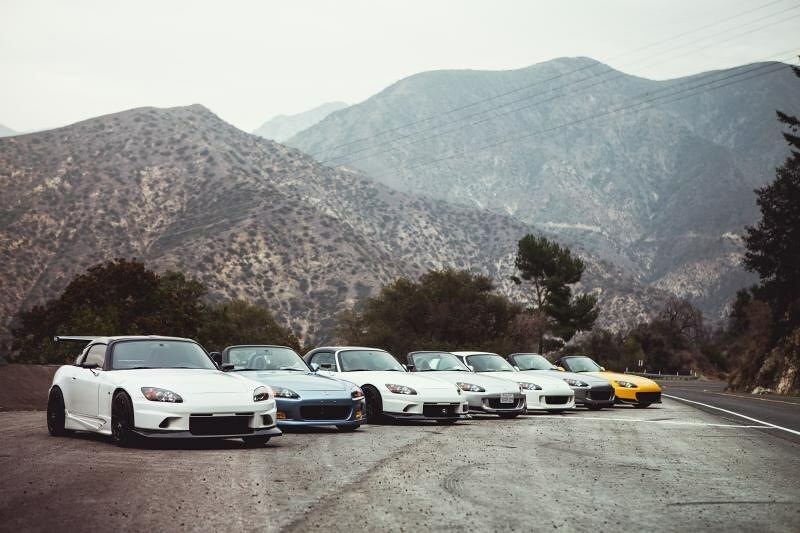 Also through S2ki I met a number of really cool people, and made it out to a photoshoot that Alvin hosted. One day while commuting I literally ran over a soup can. You know, like Campbells soup? Yeah. Which brings me to the subject of tires. 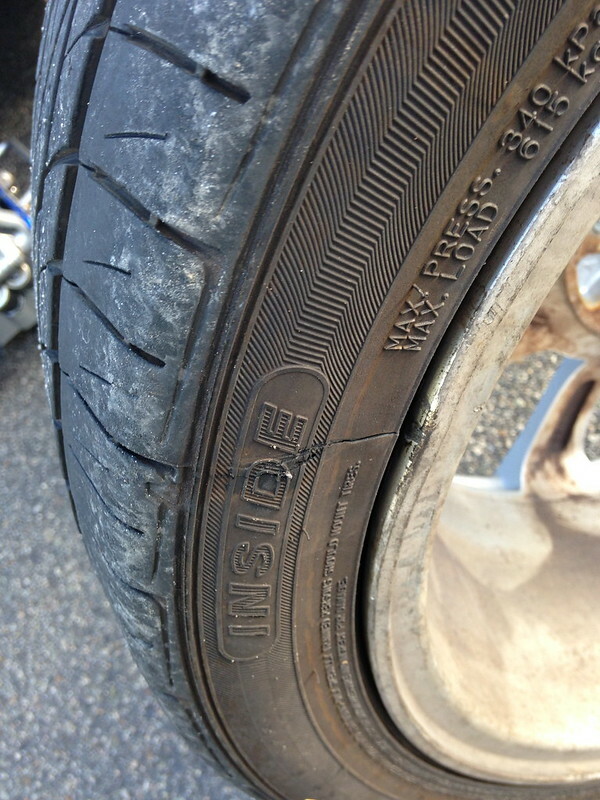 The previous owner had just installed Falken 912’s on the car, and this tragedy happened not long after I bought the car. (Maybe two or three months?) I didn’t want to waste the tires, so I decided to replace it with another Falken. Yeah. It works. Major G forces. It helps stir the pho. So there I was, 9 months into ownership. Bossman called, one thing led to another, and I booked a one-way ticket to Korea… I ended up storing the car at my parents house. 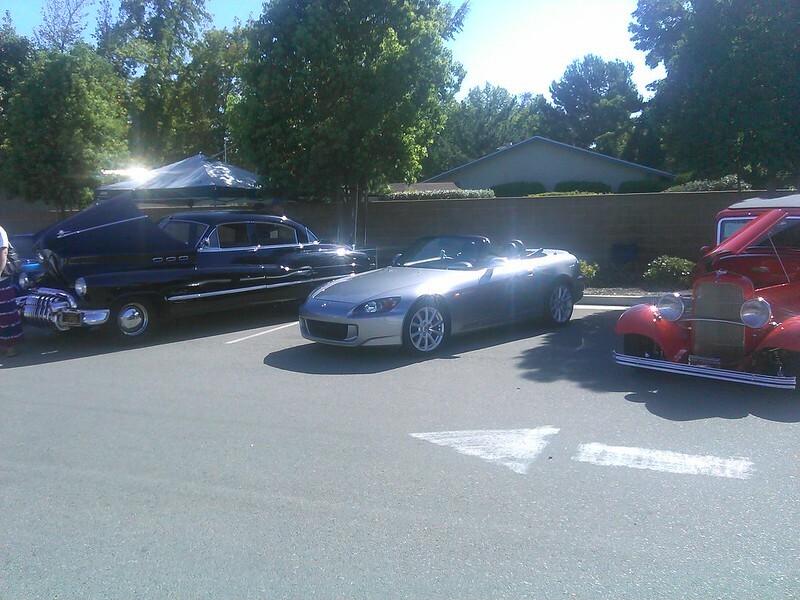 While I’ve been gone my dad took my car to a car show at his church, which he said was “open to everybody” but in reality the lot was filled with old white men showing their classics. Completely out of place, but the car did bring home a trophy. 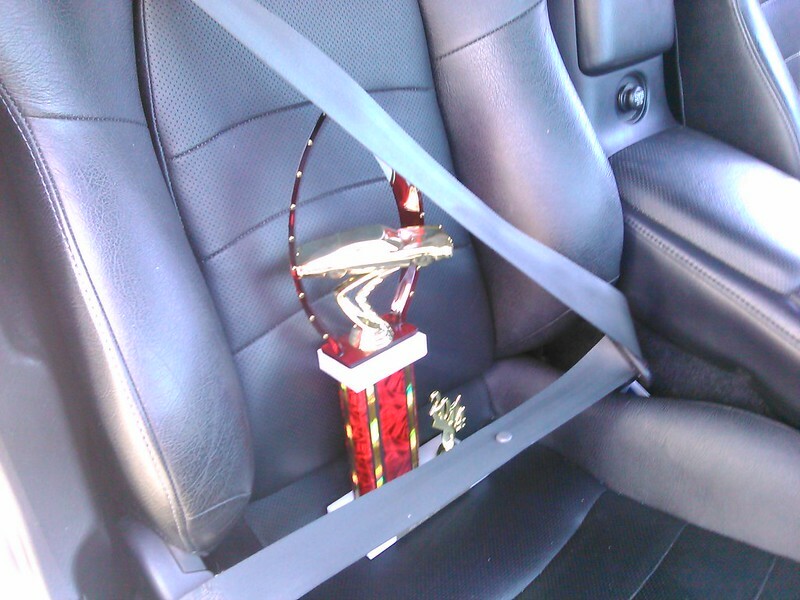 It won third place for foreign car, which is pretty sad seeing as how everything there was domestic. 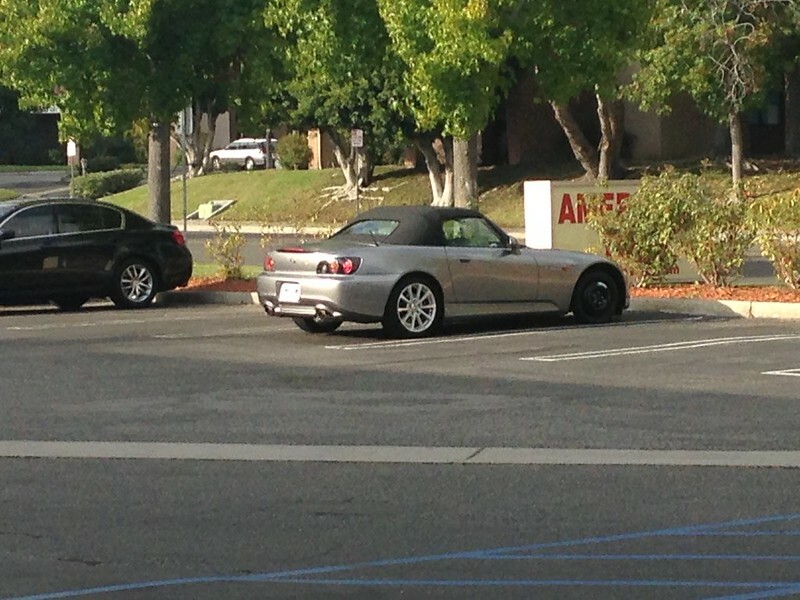 Since I moved to Korea I bought a Kia… It really helps me appreciate how great the S2000 really is. Anyway, so there I was with a passion for cars but no outlet. Korea is a great opportunity but I definitely miss southern California car culture and the friends I had made. 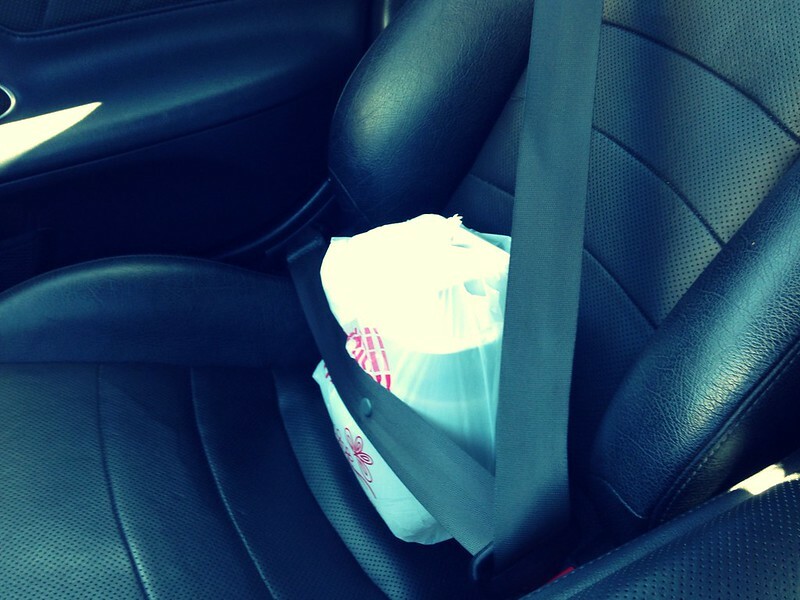 So what else do I have to do other than…. Buy car parts? For the longest time I’ve wanted CE28’s. I fell in love with the 17x10+45 spec a long time ago, but since it was discontinued I had settled for the Amuse 17x9+40 spec. I was literally a week away from pulling the trigger when all of a sudden Evasive was doing a group buy on the +45 spec! 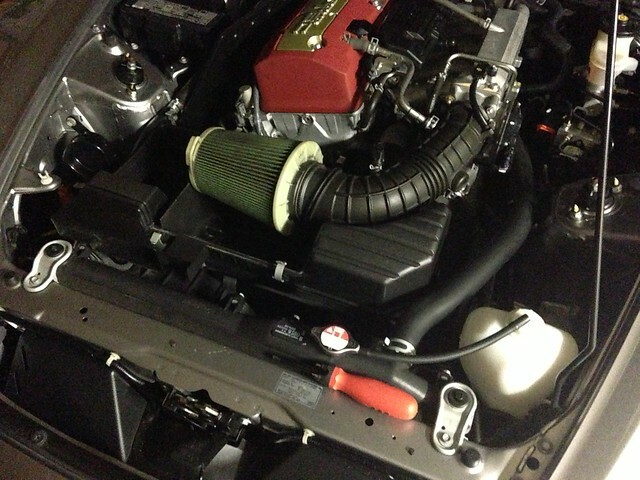 I jumped on it, and CE28’s became my first car mod. Actually they were my first car mod ever, because I’ve never modded a car before due to being a super poor college student. 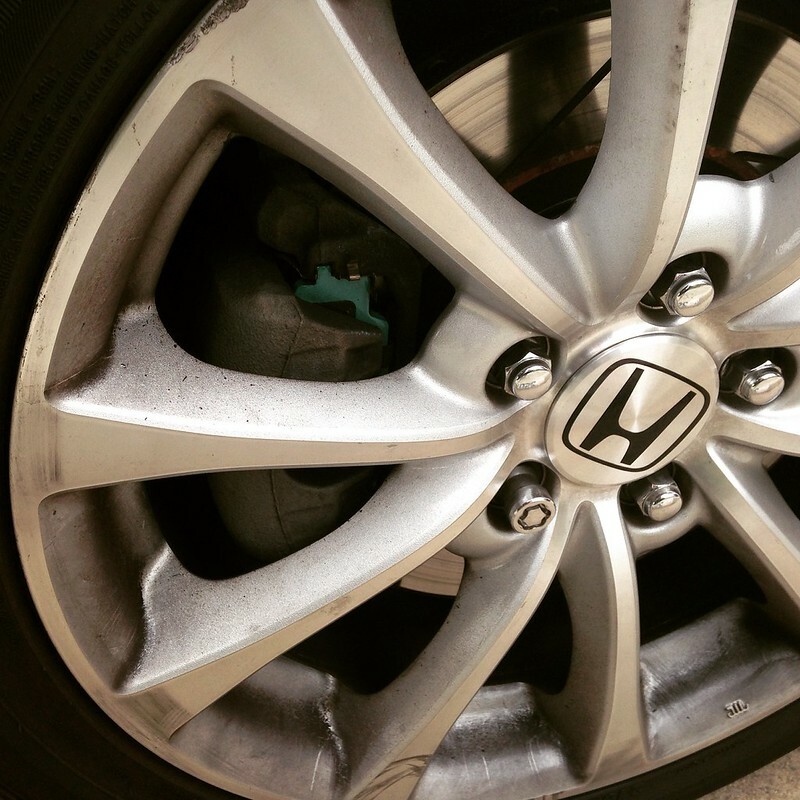 Now that I had wheels… Where do I go from here? Everything seemed to snowball as I tallied up everything that I wanted to do, and I preferred to do everything once and not have to change anything else, so I decided to just go all in. 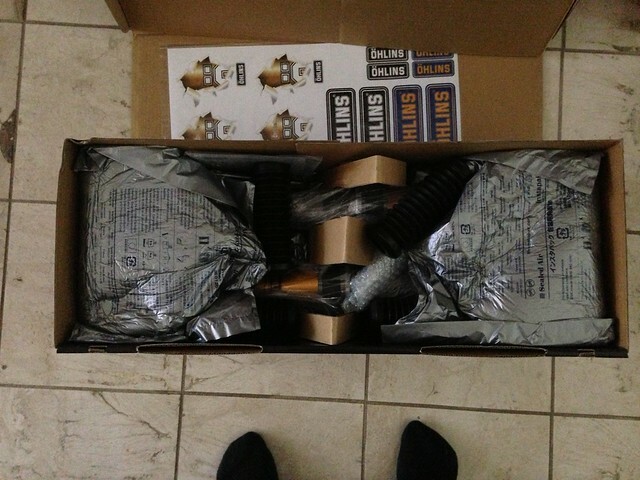 So I ordered a bunch of stuff which is up in the first post. From here, it was the waiting game. One day I was thinking about how I was going to get everything put on and installed. In my mind, I wanted to have everything on my car installed and painted by Christmas when I flew home, it would be the perfect Christmas present. I just so happened to be talking to Chris Lum when he suggested that he could install it, but he would need a place to store my car. So Colin agreed to store my car at his house, and the two of them would install everything, drop it off for paint, and I would pick it up when I flew back. I had my brother in law drive my car down to his house for me because my car was in central California, and that set everything in motion. Everything would have worked out if it didn’t take so long to ship stuff from Japan. I ordered my bumper in July and it still hasn’t come yet. Anyway, I ultimately decided to hold off on painting anything until I had everything together, so all that got installed was the brakes, suspension, and exhaust. I’m sort of glad it worked out that way, because I think I prefer to experience mods incrementally rather than exponentially. At this point I’m looking at flying back in May and helping to get the rest of my parts installed and sending it to paint and flying back. Lol one day it will all be together! I must say that I am a very lucky person to have two friends who are so willing to help out, and they went out of their way to help me with my car. For that, I am extremely grateful. I flew in for Christmas and picked up the car, and it was completely changed. I fell in love with the suspension, brakes, and the exhaust! Reviews to follow. For a long time I really wanted KWv3’s. As I was reading suspension reviews, however, Ohlins started to pop up more and more often, but were seemingly out of my price range and were close to a grand more than the KW’s. 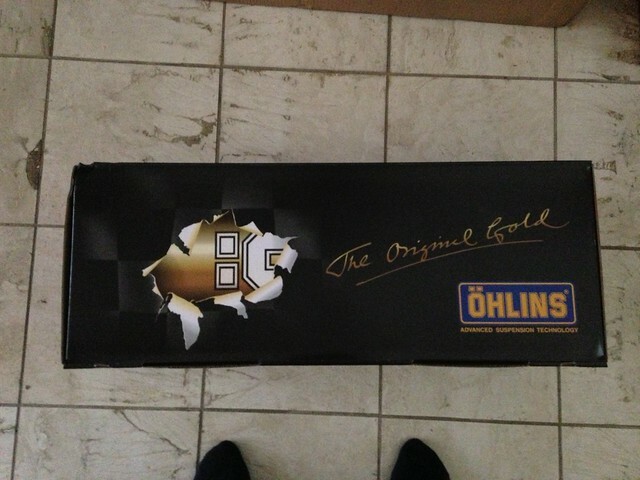 Then Ohlins dropped their pricing, and I decided that the best option on the market was Ohlins. With that, here is my review. It also helps that I’m Swedish so… Gotta rep the homeland amirite? I picked these up through SpeedFreaks, it was not only a great deal but it showed up to my house in less than a week! And then it didn’t get installed until months later. Hahaha! I currently have them installed with a 32mm Eibach front sway bar, originally meant for the square setup I will be running. I should probably take the bar off so I can see the difference and see how much stiffness comes from the suspension, etc. but I'm in the states for such a short time I just haven't gotten around to it. I'll be on a square setup next time I come back. OEM suspension is good already. Yes you have body roll, but it’s a good starting point. 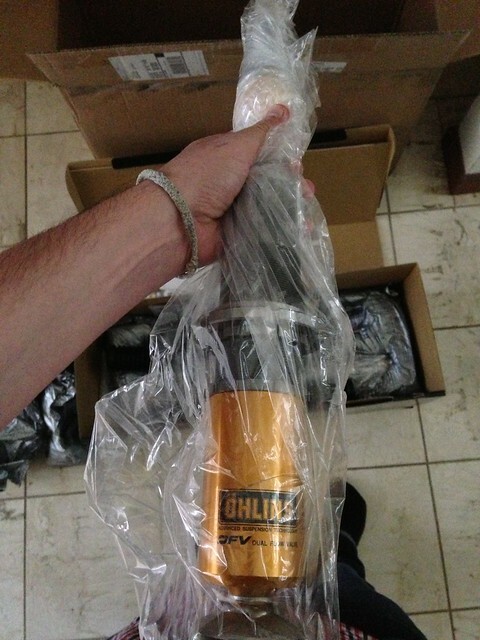 I would describe Ohlins to be like OEM, but way better. 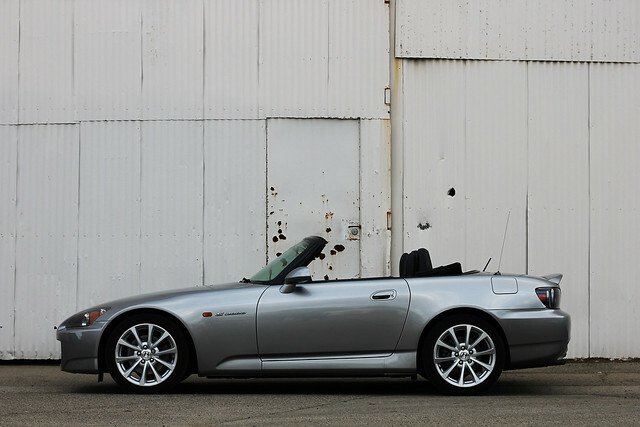 It’s so compliant over bumps and rough corners, and it handles dips without upsetting the car. 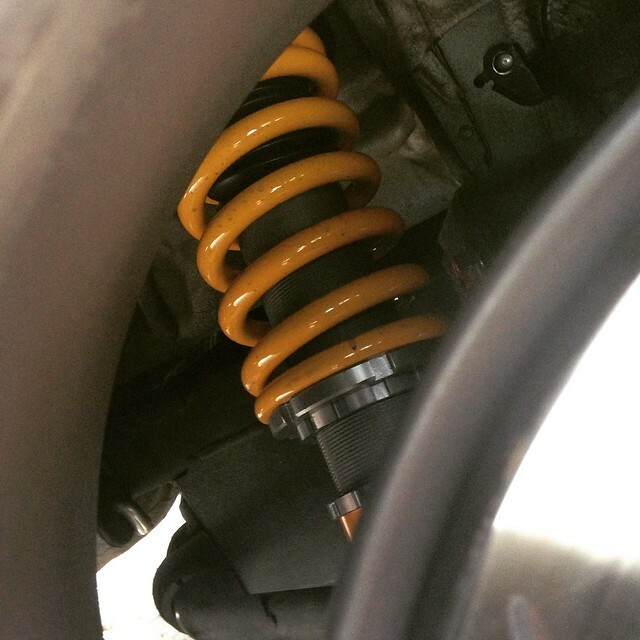 This is a fundamental difference between coilover options; a lot of options out there upset the car over certain bumps, which I don’t feel the Ohlins doing. Coming from stock, 10k/8k seems pretty stiff, and I wouldn’t want to go much stiffer. I may move the rear up to 10k, but I don’t think I’ll be changing my spring rate. There is minimal body roll as well, which gives you more confidence to push. At this point my tires are my limiting factor, and I am very excited to get my RE11’s on. I can’t push much harder than I did while stock simply because the grip isn’t there. I’ll revisit this topic when I get my new tires installed. It’s hard to describe just how good these are without just driving it yourself. The car is much more settled going over bumps, during cornering, during hard braking, and also during normally unsettling circumstances. This is what sets it apart from the competition. Would this work on my “stanced out” s2000? No. Bronze would be a more apt description. The next closest would be… Copper? Springs are yellow. 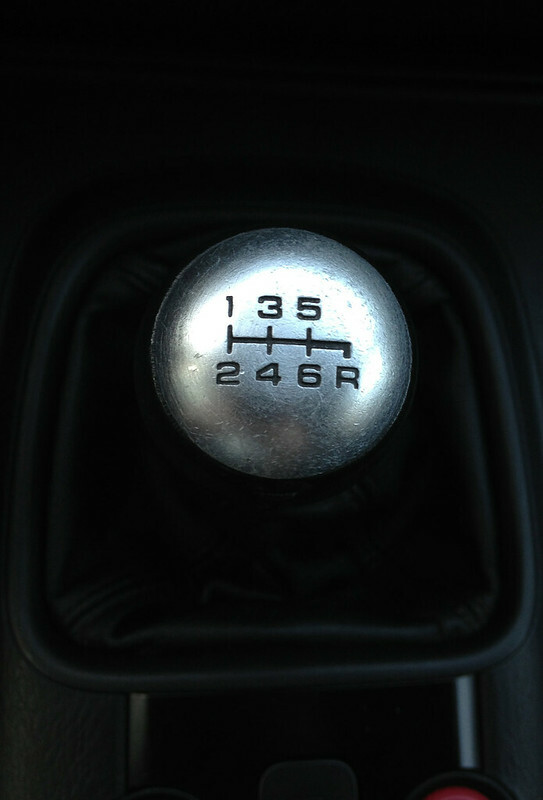 This is literally the best upper mid tier coilover you can buy for the money. These are such a good deal right now, you need to pick up a set if you’re in a similar price point. Honestly? Everyone. Even occasional track or autocross use would benefit from these. Even if you are aggressive on the street, these are a great option. If your budget is say, $800, then no don’t get these. You can’t afford them. But if your budget is higher, yes. Absolutely get them. How would these work in a situation where I have to evade extremely pissed off cocaine dealers? These will get you serious G’s on the freeway cloverleaf, that’s for sure. 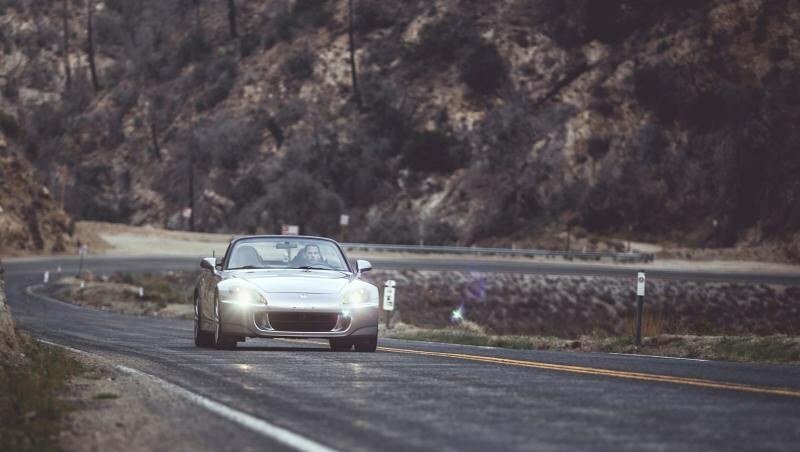 Unless you’re on the touge, these won’t really help much evading on city streets or on the freeways of LA. I drove to see a friend who lives in west LA and nearly died from how bouncy everything was. There may be an exaggeration on my part. I will say that if you have corners in your getaway, these will definitely give you the upper hand. I never really saw myself buying anything else for street pads other than Project Mu’s simply because the reviews are so great on them. Originally I was planning on getting Girodisc 2 piece rotors for the front ever since Girodisc came out with their product, however I chickened out at the last moment. It was at a time that I had just spent a boatload on other parts and couldn’t stomach the $6XX for the Girodiscs, but I feel that for now, I can get away without having them. 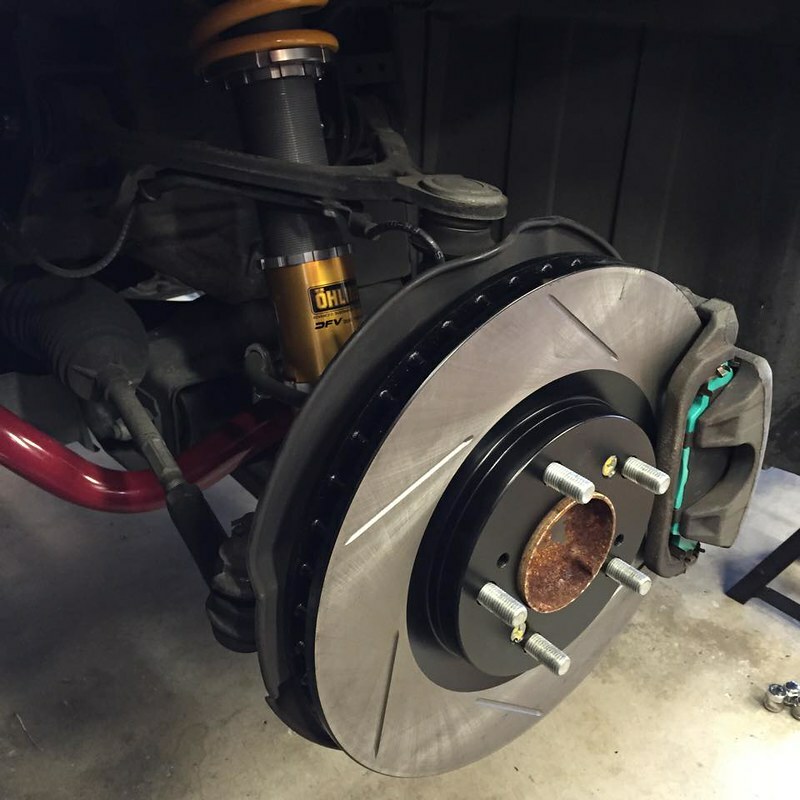 When I start to run into brake issues due to running OEM sizes I’ll definitely do the upgrade. Or, I’ll upgrade to Girodiscs once I wear out the Stoptechs. I love the technology and with my wheel sizing I’m unable to run anything other than stock brake sizes, so I’m looking forward to giving Girodisc a try. I’m coming from some no name stock brake pad that after one hard stab at the brakes would start to fade. I would get up to say, 80mph and stomp on the brakes down to say, 20, and then if I tried doing it again I’d get brake fade. So needless to say they were garbage. With that said the comparison is night and day. I’ve heard mixed reviews on the noise these pads generate, but so far I only have minimal squeal and that’s with some bed-in. So I would say they are fairly quiet. Stopping power is really, really good though. They also handle heat well, and I haven’t experienced any brake fade yet. Can you get brake fade out of them? Probably. I haven’t though. At this point my tires are my limiting factor, as I activate ABS and get significant tire squeal under hard braking. I’m excited to see how they hold up with the RE11’s that I have. I’m not sure the Stoptech rotors are giving me any tangible benefit, but are definitely an upgrade over stock. Initial impressions after driving were that of astonishment. I giggled as I tested out the brakes because I couldn’t believe how well they bite. I’d be lying though if I said they don’t dust. They do. Update: was driving my dad to Costco for a beef run yesterday. I tend to avoid traps like Costco but I was conned into it with the promise of cow. I am unable to drive the car 'as its supposed to be driven' with the passenger roster that was present so I was doing a lot of light braking. Damn if these pads don't squeal on light braking. It's not extreme but it's enough to be annoying. Either I need to bed in the pads better, or the pads are inherently noisy, I'm not sure. The squeal goes away under more pressure though. It’s more of an aqua color. Perhaps a close cousin. Stoptech rotors are more expensive than OEM blanks, but I feel like they’re better quality plus they supposedly “help” with heat, brake dust, and water, but I’m not sure how much it actually helps. It gets you scene points I guess. Anyway, for a good bang for buck, I’ll say Stoptech is a great option. Project Mu pads are a great deal in my opinion, they are relatively cheap-ish but are more of upper mid tier. So if you have a hooptie, don’t get them I guess is what I’m trying to say. The performance they provide is amazing though. I love them, so in that respect, the cost vs. benefit is a really good proportion. Probably, but I wouldn’t breathe in the PMu brake particles though after you blend it. I’m sure it will cause cancer. 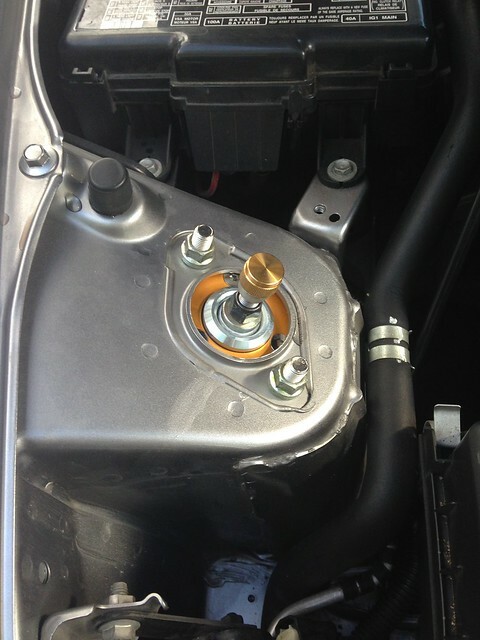 Anyone who wants a good upgrade from stock with a solid bite. These probably aren’t the greatest pads for extended track use, but they can definitely stand up to the occasional track day. They may be a more premium option for those who are DD only with no real performance driving. In that case, go with something else. Wonderfully, if you want to dust them to death with the copious amounts of brake dust you will be tossing into the air behind you. In all seriousness, you will be able to out brake the cocaine dealers. Enjoyable thread. Well done OP. taking notes on evading pissed off cocaine dealers.